All About Real Estate is proud to present this uniquely designed home. If your ready to embrace the tropical ambience and easy lifestyle that is synonymous with the Territory, this 3-bedroom family home is busting with features for the everyday function of the home and packed with features that make entertaining and weekend leisure to the next level. At the front of the home is a dual gated driveway that leads through to a paved parking area for easily 2 vehicles and the boat as well. There is also a centrally located PA gate for your guests to use that winds through tropical gardens and over a foot bridge towards the formal front porch area that is secret and screened by masses of tropical gardens. Inside the home is a large living room with inset carpet and tiled perimeter along with French Doors that access through to the back verandah and entertaining areas with sky high pitched roofline – a striking contract against the brickwork of the home. The kitchen hosts built in timber topped breakfast bar for quick meals (hosting a view over the verandah) and banks of storage with a built in pantry and overhead cupboards plus wrap around counters. 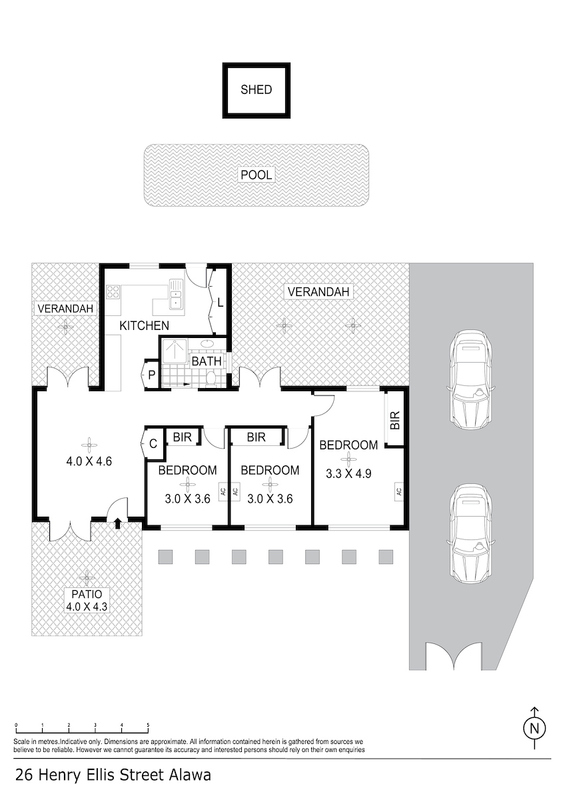 All three bedrooms include tiled flooring along with split A/C and a built in robe along with large bays of windows that frame the tropical greenery along the front of the home – this is a stunning feature that really makes these bedrooms pop! 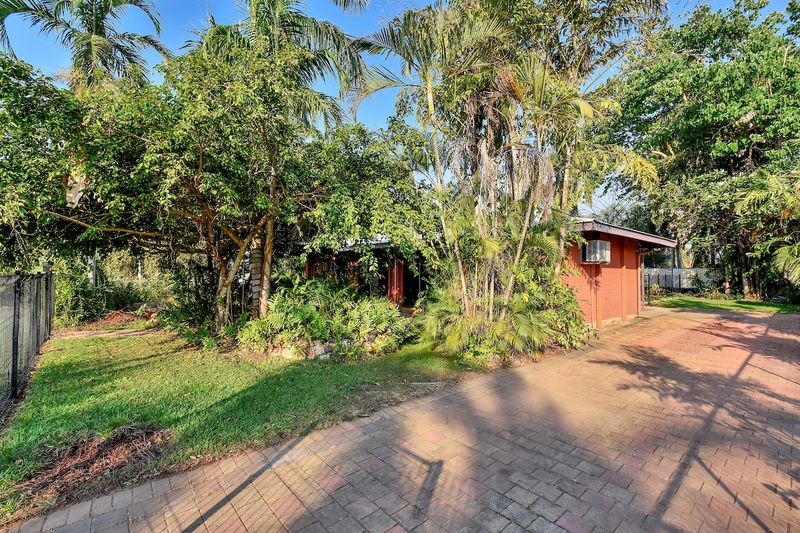 Outside the home includes a massive in ground swimming pool with secure fencing and paved surrounds backdropped with tropical gardens thriving and screening the area from the neighbours beyond the fence line. Across the street is a large open parkland with play areas for the kids and walking paths so you can take fido for a stroll of an evening. A cool sea breeze plays through in the afternoons as you’re only 5 minutes from Casuarina Beach. 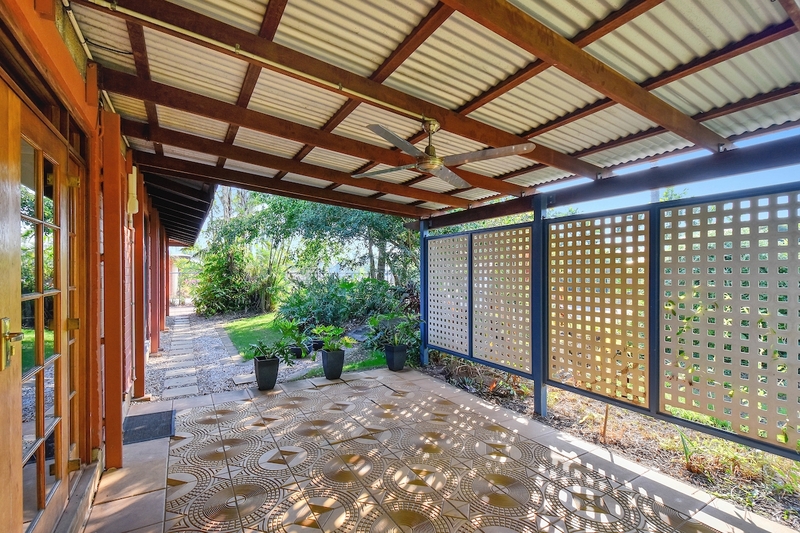 The home is located close to nearby schools, shops, RDH, CDU, Casuarina, CSC and more – yet is tucked away in a private court location with established long-term neighbours and treelined streets. Council Rates: $1,600 per annum approx.